Any of you that have seen any of our other posts know that we love Halloween and Dollar Tree at Crafty in Crosby. 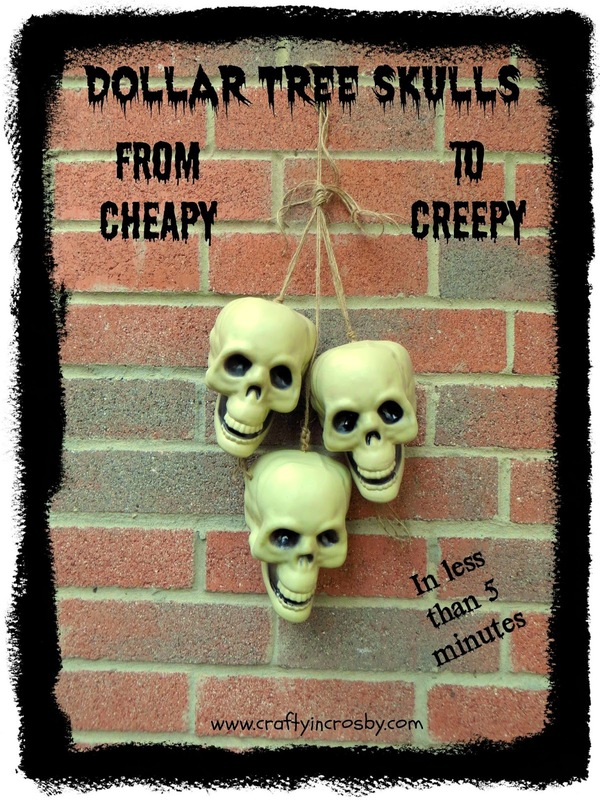 Hopefully, you haven't gotten tired of all our Halloween/DT posts yet 'cause here's another quick an easy way to take those cheap looking plastic skulls from cheapy to creepy in about 5 minutes! 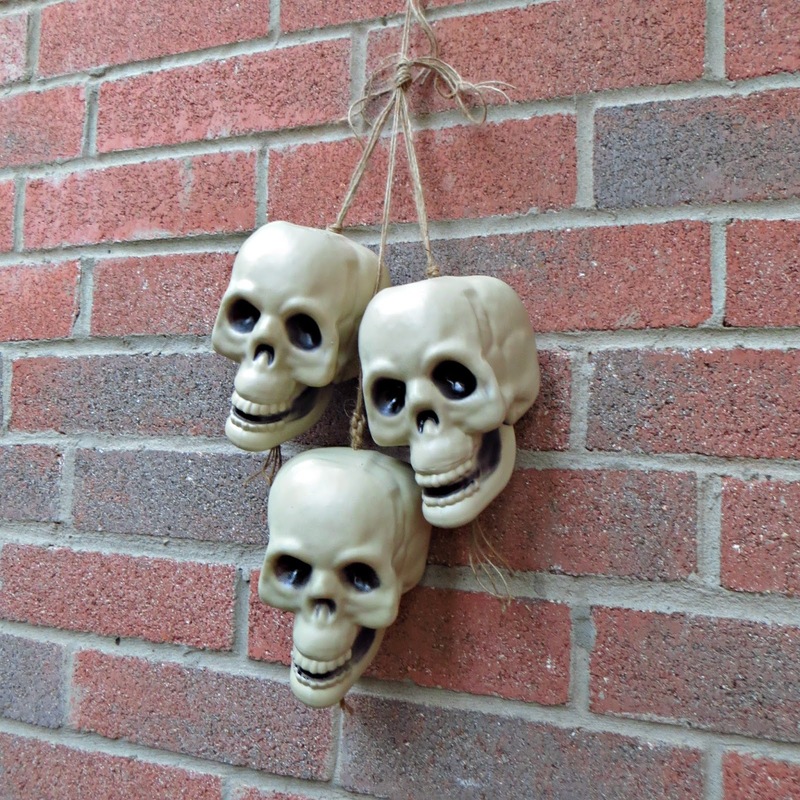 But, string 3 of them on twine and hang them up and they are instantly turned into something creepy and cool - reminds me of shrunken heads. 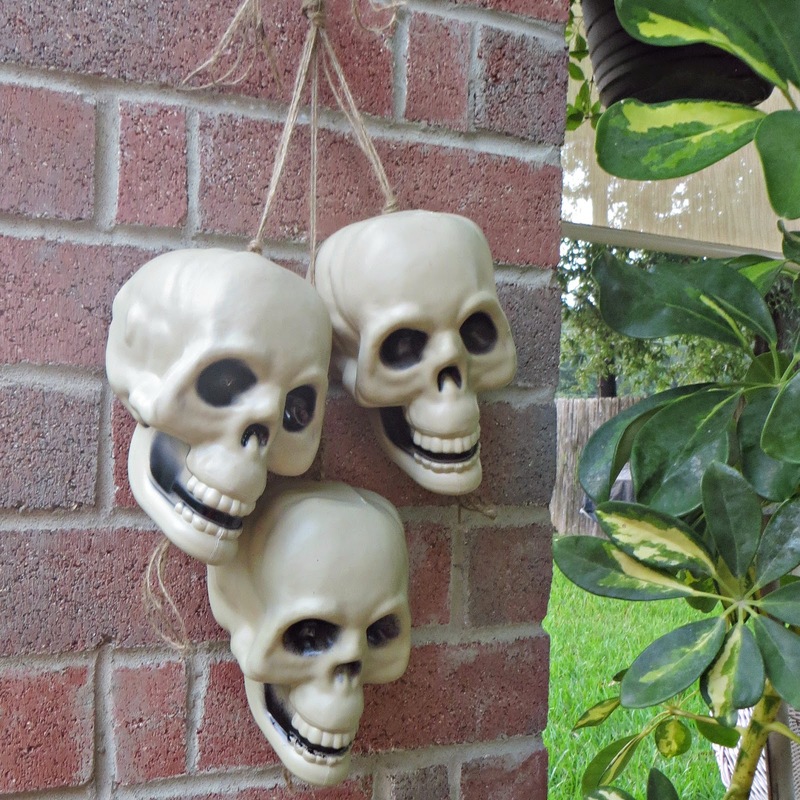 In fact, I think that I'll add some Spanish moss to them for a little more creep factor! All we did was cut a small hole in the top and enlarge the hole on the bottom, use a piece of wire to pull the twine through and tie three of them together! Bam! Quick and Cheap! 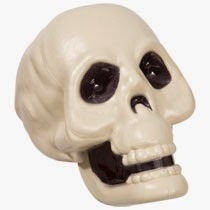 DT skull for another creepy Halloween decoration! Woot Woot - Tomorrow is Hump Day! Hope your week is flying by! Howdy, Great idea. 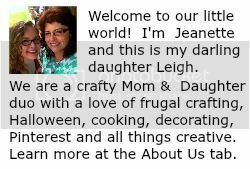 I love shopping at the dollar tree for craft ideas. Actually I was there today to get some stuff, haha. I just wanted to spread some love from one Texas Blogger to another. Thanks Amanda! Not only a Texas Blogger but a Dollar Tree Addict too! YeeHaw! Following you now via Bloglovin! 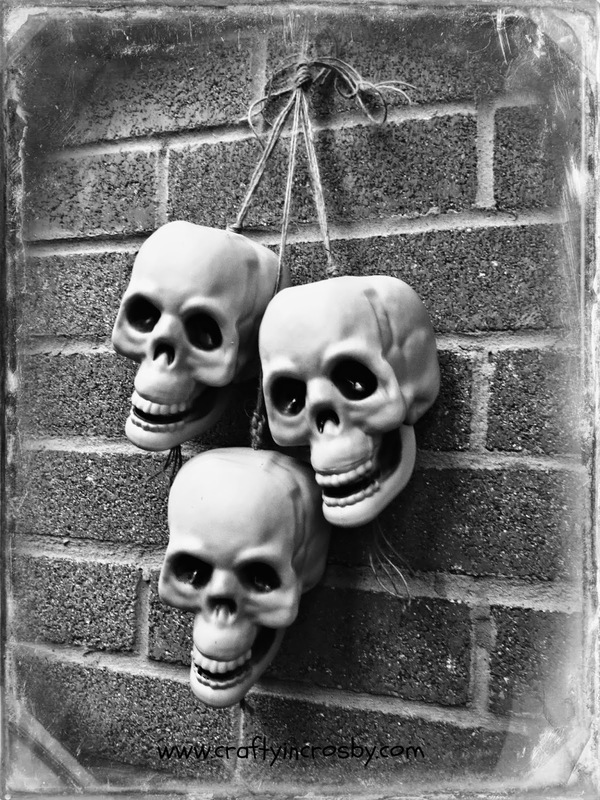 Just love all of your great Halloween décor ideas! My dilemma is finding a place to store seasonal décor in our home. Your Halloween décor collection is extensive - do you have any tips for storing and organizing your collection when it's not being displayed? Thanks again for sharing all the great DIY ideas! Plastic tubs from Walmart are my only secret! Well that and the guest room closet which is stacked floor to ceiling with Halloween tubs. I've almost got the same amount of Halloween tubs as I do Christmas tubs - I do have a serious holiday problem....... So glad you are inspired by our ideas! This so much fun! I love Halloween decor! Stopping by from LiveRandomlySimple Totally Terrific Tuesday Link Up Party! Thanks for linking up last week! Party is NOW live, hope you can make it back and link up some more awesome content!! I LOVE Dollar Tree too! That's always my first stop when I'm on a mission to make something. Problem is trying to get out of there with less than $20 in my bag!